If you dig videogame music then you need to take a look at this fantastic Indie Game Music Bundle Pay What You Want Black Friday Sale. Call me a nerd if you will, but I'm a pretty big fan of videogame music. There's some really amazing stuff out there and the best of it doesn't just enhance the experience of a game but is also eminently listenable on its own. 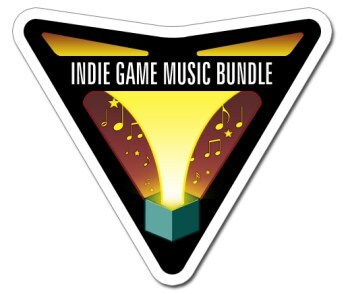 So you better believe that I was pretty excited when I found out about the Indie Game Music Bundle, a collection of ten albums from indie game composers in 320kbps MP3 format, totally DRM-free and available today only for as low as a buck. There's no Ari Pulkkinen or Sascha Dikiciyan in the mix, but you'll probably recognize at least a few of these names. Like Minecraft: Volume Alpha by C418, the Super Meat Boy Digital Special Edition Soundtrack by Danny Baranowsky, A.R.E.S. : Extinction Agenda by HyperDuck Soundworks and PPPPPP: VVVVVV OST by Souleye. And, like all good indie bundles, if you pony up a little more than the minimum [in this case, $10 or more] you'll get a half-dozen more albums including The Binding of Isaac, Wind-Up Knight and Extreme Road Trip. So if you're cheap, you can pick up ten full albums of game music for a dollar, and if you're slightly less cheap you can snag 16 of them for a tenner. And don't feel bad about being cheap, either. "Don't be ashamed to put $1, the option is there for a reason," the bundle folks wrote. "We want you to check out our music! But if you want to support a bunch of starving indies, now's your chance!" The bottom line is that there's just no good reason not to do this, so go to www.gamemusicbundle.com and do it. You can thank me later.